THE REAL FACE OF AN AFRICAN CHILD.. 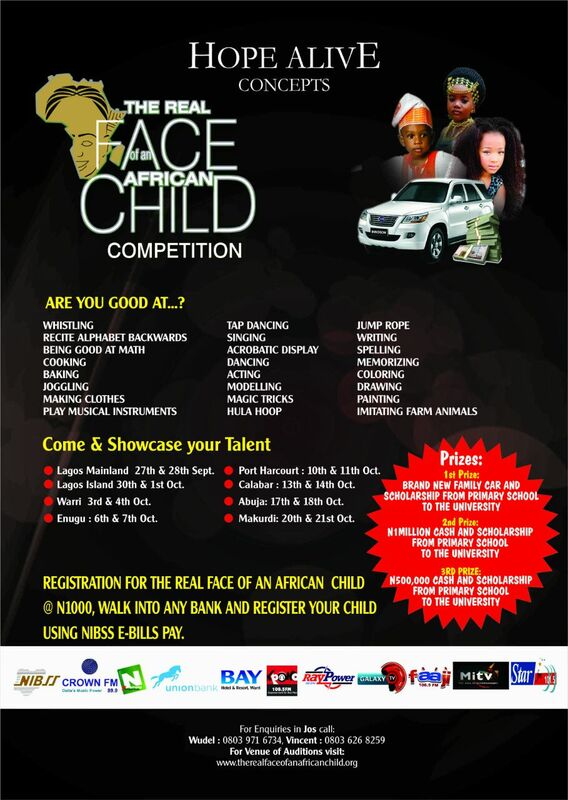 The real face of an African child is a talent hunt / pageantry competition for All African Children who live / reside in Nigeria. Walks home with 500 thousand naira and scholarship from primary school to the university. Registration is open.....for ONLY N1,000. Do not miss this opportunity to showcase your child. A STAR.